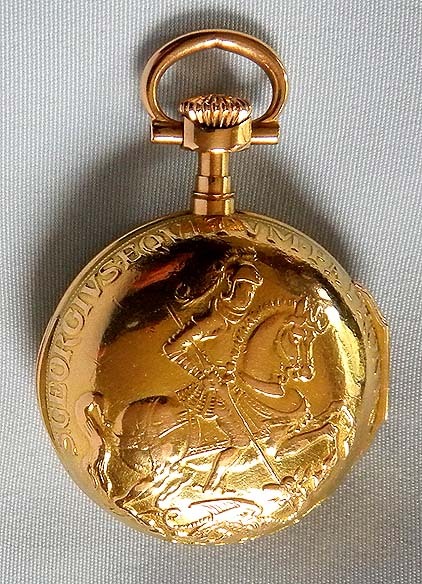 Fine and beautiful 18K gold Louis XIV style Patek Philippe St. George and the Dragon ladies antique pendant watch with Patek certificate circa 1896. 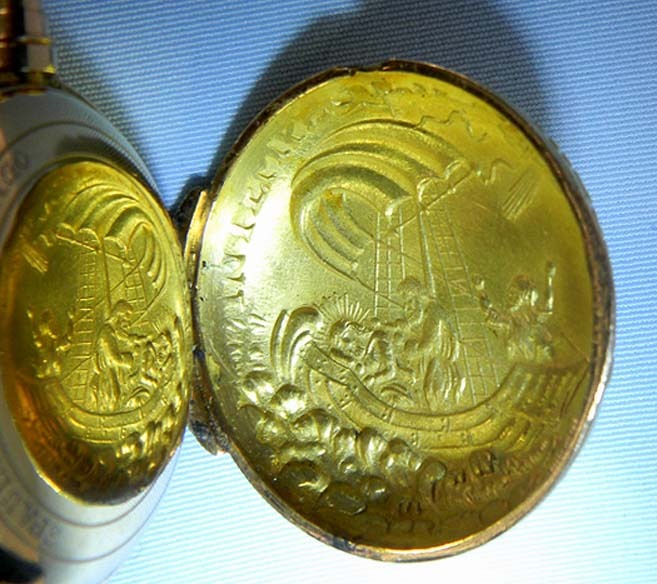 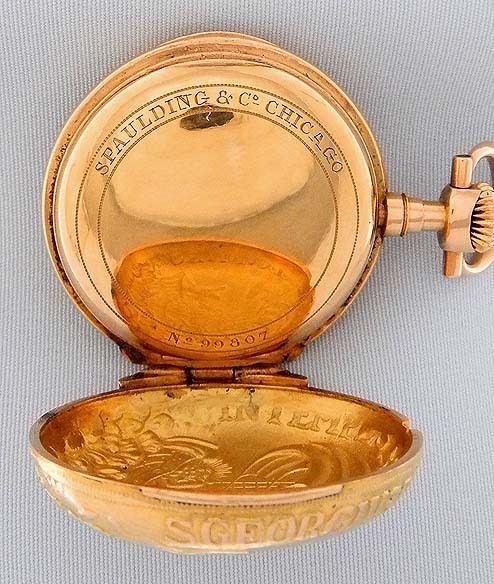 The case with high relief scent of St. George slaying the dragon withlight wear to the high points. 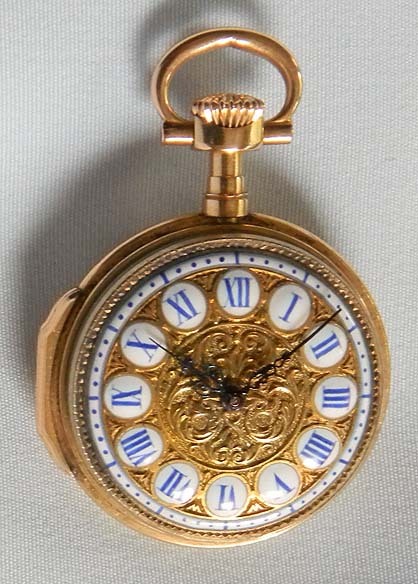 Beautiful elaborate dial with enamel cartouches and fancy black hands. 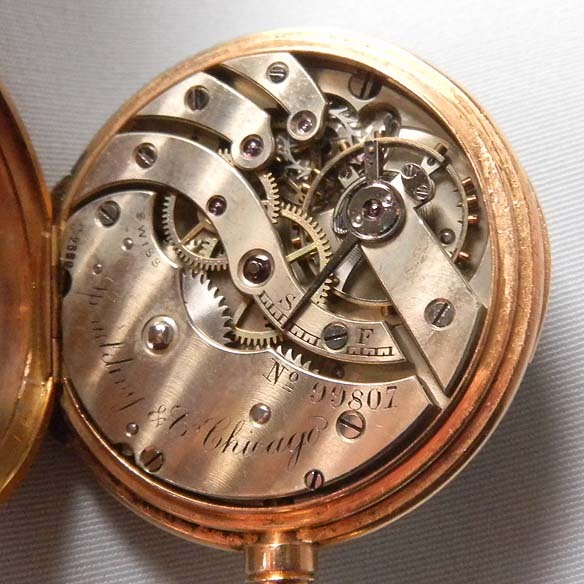 Fine nickel 16 jewel movement. 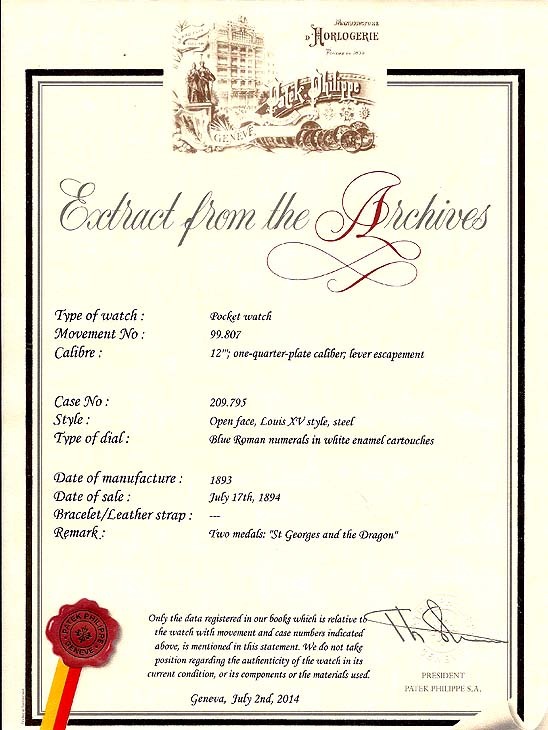 The inside of the back cover with another scene.